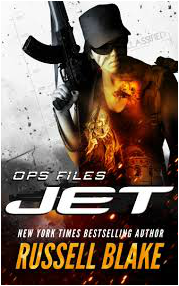 Ops Files is a prequel to the wonderfully brilliant Jet action series of books by Russell Blake, Ops files is based around the time Maya the series female protagonist is a member of the IDF (Israel defence forces) and before she work for Mossad and becomes a lethal hardened assassin. I actually forgot how much I really enjoyed the original Jet book until I picked this free prequel up in the Amazon Store, this book instantly reminded me of how good a thriller writer Russell Blake actually is. The Story starts out in the West Bank where a checkpoint is attacked leaving Maya’s friend Sarah dead and landing Maya in hot water with here commanding officer for allegedly leaving her position at the check point, Maya vows to bring Sarah’s killers to justice but what she uncovers is a far bigger plot to inflict mass casualties to Israel. Maya is forced to go under cover further to gather intelligence about the impending attack but she only has a few of her colleagues that she can confide in as not alert her superiors. The story moves to on to Maya’s Mossad training where she develops all the skills that she possesses in the later books of a top agent. Once training is complete the book moves into Maya’s early Mossad missions where all of here new found skills are well an truly put to the test in typical Russell Blake action packed style. This story is extremely well written although there are one or two typo errors towards the middle to later stages of the book but this by no means detracts from the superb action packed addition to the JET series. I will now be picking up the JET series where I plan to read more of the books in 2015.